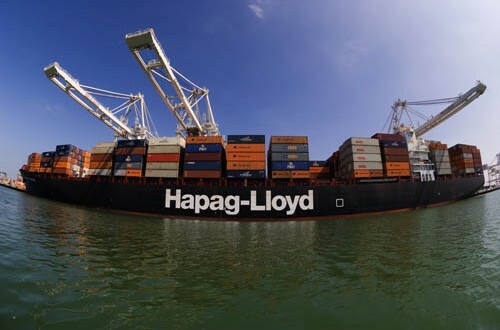 Large Oregon delegation will market a state still searching for container shipping service. Gov. Kate Brown is headed to Hong Kong, China and Japan on Sunday for her first trade mission since taking office Feb. 18. Oregon governors have long marketed the state in Asia and Brown's spokeswoman says this is opportunity to bolster Oregon's economy. "The benefits of a trade mission are Oregon jobs and economic growth," Brown's spokeswoman Kristen Grainger told WW in an email. "China is Oregon's largest export market, with $4.2 billion in exports in 2014. Japan is Oregon's fourth largest export market and Oregon's single largest foreign investor." Brown will be accompanied by a state delegation of 50 people, including her husband, Dan Little. "As Governor Brown's first trade mission, it is an important opportunity to introduce herself as Oregon's new governor, and that introduction appropriately includes the governor's spouse," Grainger says. "Additionally, international business relationships between heads of state are strongest when there is a personal connection; face time is an important component, as is bringing one's spouse to events where foreign business and civic leaders may also have their spouses present. Travel expenses for the governor's spouse are covered by the trade mission budget at Business Oregon." The legislature approved a budget of $200,000 for the trip, which includes 12 state employees, nine Port of Portland officials the well-traveled Metro Council President Tom Hughes, and a number of private sector officials. The port is paying for its delegation and the private sector travelers are paying their own way. Also traveling with the governor are seven lawmakers, led by state Sen. Arnie Roblan (D-Coos Bay). That contingent includes first-term state Reps. Barbara Smith Warner (D-Northeast Portland) and Kathleen Taylor (D-Southeast Portland). Roblan says the Asian trips are open to all lawmakers but because of the nearly two-week time commitment, few are able to go. Roblan says that although lawmakers have no direct role in international relations, their constituents do and the all lawmakers have an interest in making Oregon a more competitive attractive place for tourism and trade. Oregon's economy is trade dependent but a major piece of trade infrastructure, the port's container shipping terminal, is currently almost dormant after the two primary shipping companies that serviced the terminal pulled out in March. That move left Oregon's exporters -- mostly agricultural shippers -- having to send their good through Washington or California ports. Port figures show that even as container shipments ground to a halt, air freight shipments have changed little, rising 2 percent from last year. "Portland doesn't currently have the same level of container shipping service it once did, and the Governor's Office is still focused on a solution where T6 may return to normal volumes of shipments," Grainger says. "Meanwhile, there is still much to talk about -- it is more likely they'd run out of time before they'd run out of great Oregon products to consider." Brown and her retinue will visit Hong Kong, Beijing and Tokyo on their trip, leaving Portland Oct. 11 and returning Oct. 21. Although the locales are exotic, the topics are less so. A typical agenda item is a 2 pm meeting in Hanoi on Oct. 20, described as "Meeting: Ministry of Agriculture and Rural Development. Discussion of trade policy affecting Oregon products in Vietnam: potatoes, pears, and potentially blueberries."